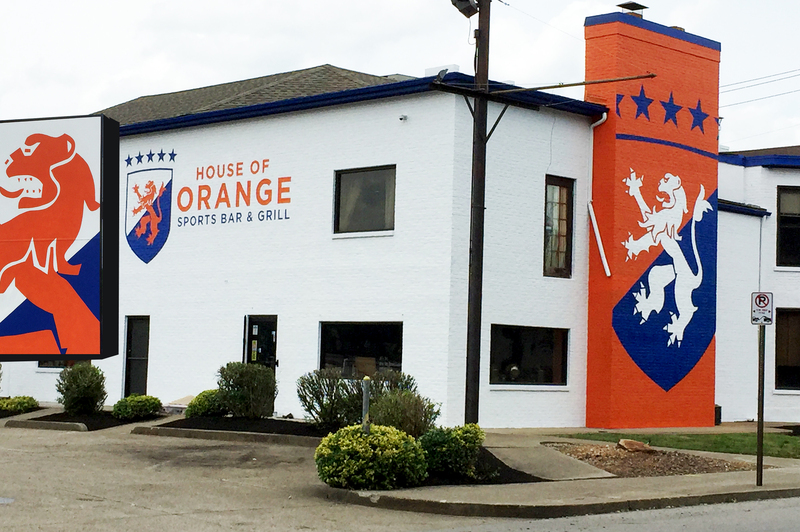 This massive Interior & exterior art installation was painted & wheat pasted all over the House of Orange sports bar in Covington Kentucky. The large exterior mural is instantly recognizable from across the street. Toting private party rooms with their own bars and bathrooms, House of Orange already makes a statement. Thanks to BLDG they now show their true colors all over their building. 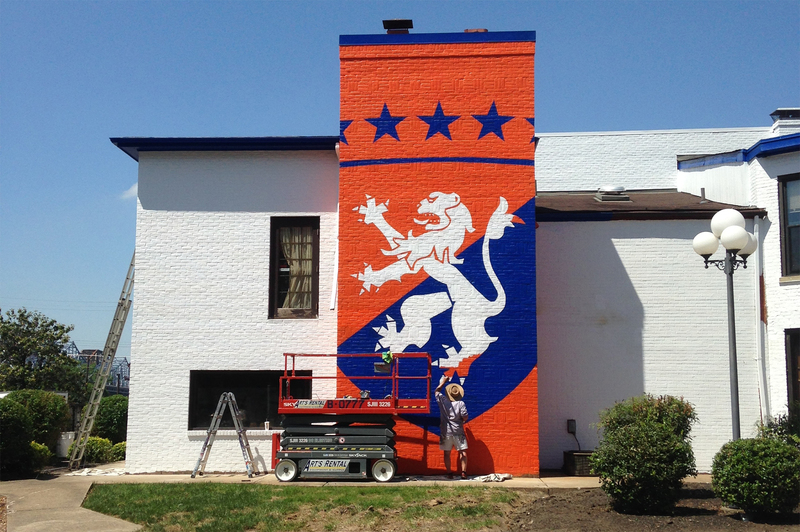 The exterior mural was painted with the help of a giant stencil, a scissor lift and precision painting skills. 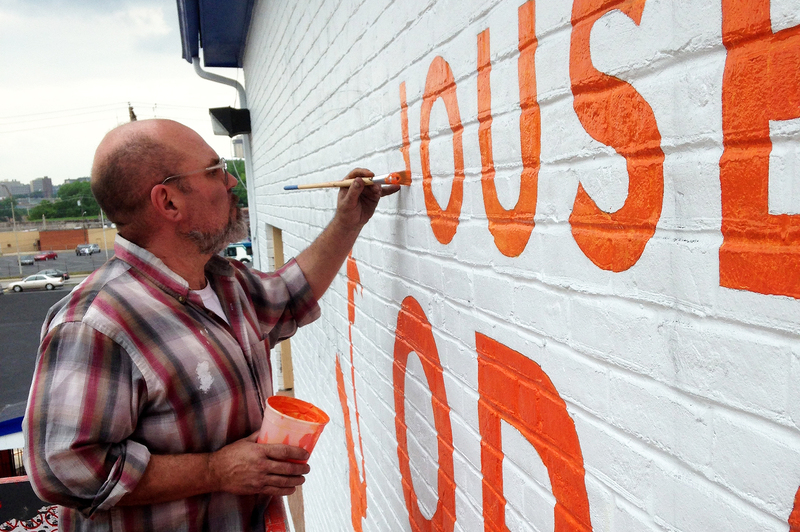 House of Orange is bold, bright, and memorable before you even set foot inside. 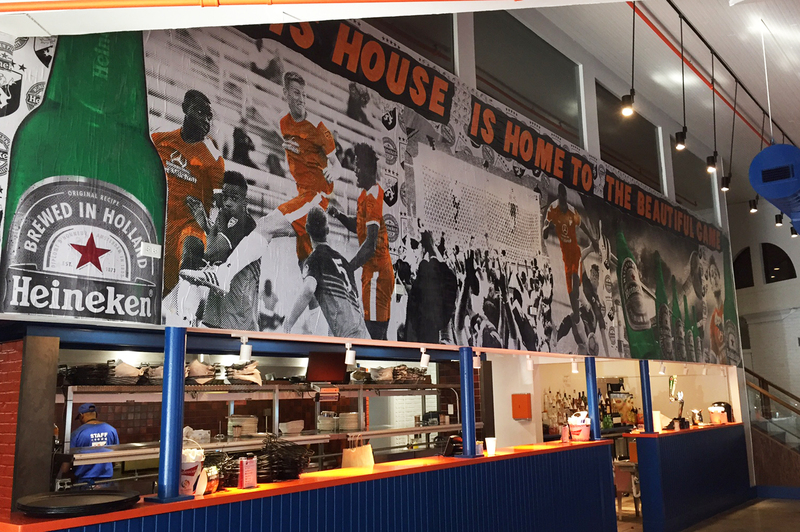 Interior mural began with a design of 8' x 23' printed image and wheat pasted to an interior wall above the kitchen access. 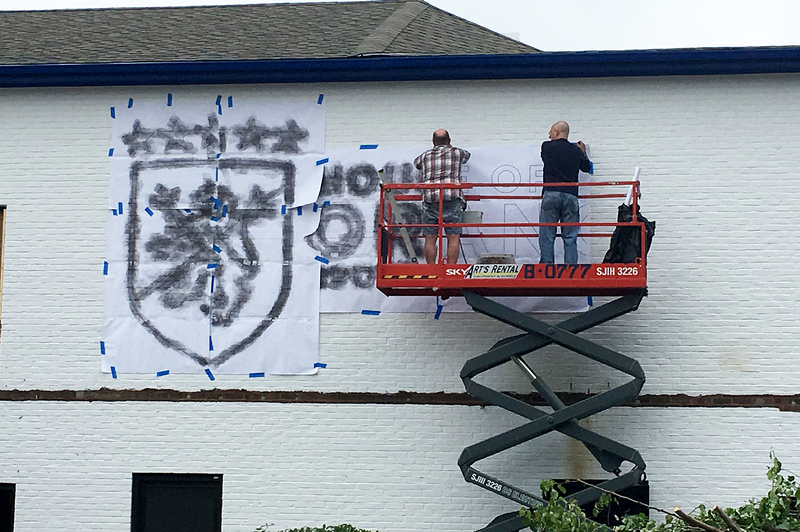 Color was then added painting into the wheat paste mural of the Dutch Lions football team and the sponsor, Heineken.